ABOUT US ship your boxes sea freight forwarding air freight forwarding moving? order container vehicle transport boat shipping roll on - off shipping road and intermodal forwarding special cargo rate requests cargo tracking document center smart links references customers worldwide other GALERY usa purchase assistance? We can offer you our shipping service from Hungary! We can arrange Air and Ocean shipping to all world destinations airports and sea ports. If you are moving or you like to ship your valuables or your products to any destinations we can help you. Our Hungarian partner has full equipped warehouse for receiving and loading your cargo. 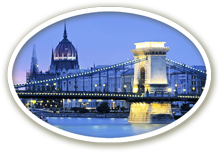 In special request, we will able to handle your Hungarian customs clearance and other formal documentations. As we know all cargoes to or from Hungary, requires inland transportation for all ocean freight movements. We have scheduled trucking and rail transportation services available for all directions from Hungary to any European ports. DO YOU LIKE to Order a container? If you like to load or unload your own containers, No Problem! We can arrange to transport empty or full container to your Hungarian address. You will be responsible for all loading and unloading labor also for securing and protecting cargo into container for the time of entire voyage. Please let us know how we can help with your shipping problems. and choose one to fill with your CARGO information.